There are a lot of nutrients that (rightfully) get extra attention in pregnancy, like iron and folate, but what about the nutrients that don’t get their time in the spotlight? The ones that are not discussed at the doctor’s office, not mentioned in that flimsy pamphlet on prenatal nutrition, and not included in most prenatal vitamins? This is why I do the work that I do. I aim to highlight the oft forgotten—but equally important—nutrients that deserve our undivided attention and where we find them in real food. If we’re not careful and not specifically including nutrient-dense foods in the diet, these are the very nutrients we can easily miss out on. Choline is in the B vitamin family, even though it lacks a number next to its name (it’s just “choline,” not vitamin B-85 or B-24) because it was named long after the rest of the B vitamins were discovered. Or who knows? Maybe B vitamin researchers got tired of assigning numerical nicknames? 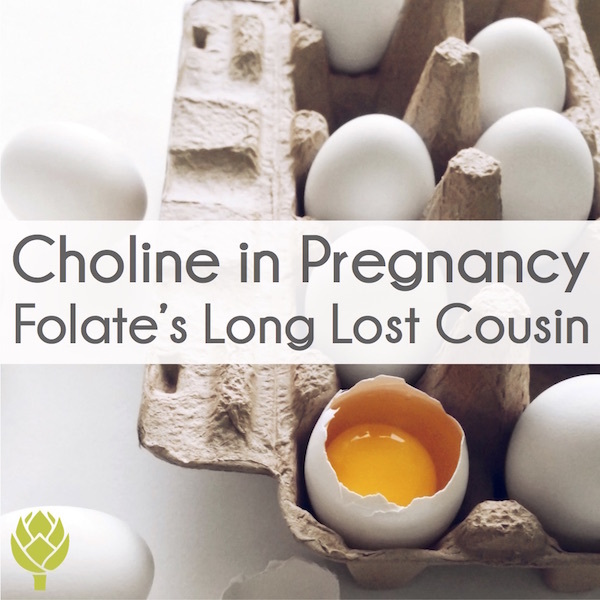 Choline is involved in many of the same metabolic pathways as folate, including methylation. Everyone knows folate (or its synthetic supplemental version, folic acid) due to its vital role in the prevention of neural tube defects. Most people don’t. Not most mothers. Not most doctors. Not even most dietitians/nutritionists. I’ve spoken at dozens of medical conferences and anytime I’m presenting on prenatal nutrition or breastfeeding nutrition, I make sure to include a slide or two on choline. I also ask the audience before I get into the details “How many of you are familiar with the nutrient choline?” Without fail, most people don’t raise their hands. What a tragedy. This is precisely why I’m such a broken record on the benefits of choline in pregnancy. Why is no one talking about choline? This also means any medical/nutrition professionals trained before or shortly after 1998 likely didn’t get much information (or any) on choline. 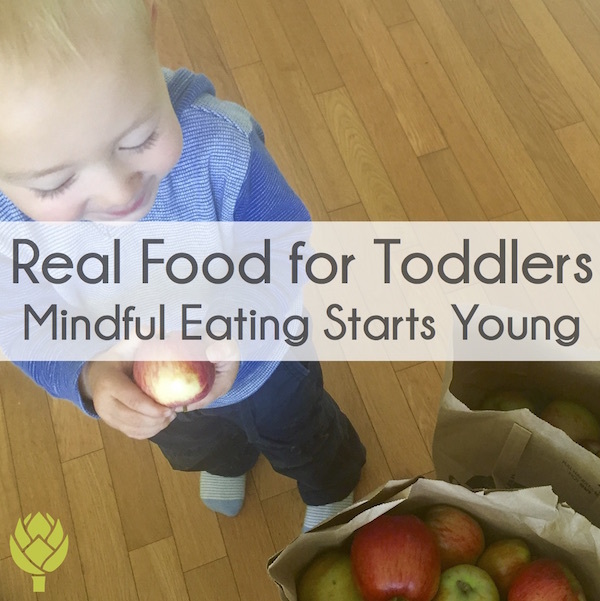 Specifically in the prenatal nutrition field, the past 20-ish years of research has revealed some striking data. Our guidelines are FAR overdue for an update. In short, the data is STRONG on the benefits of choline in regards to pregnancy health & brain development. But it’s not just animal studies that has come to these conclusions. Since the above paper was published, we have amassed multiple human studies showing similar benefits. Choline is one of the few nutrients that we have randomized controlled trials comparing different levels of supplementation on pregnancy health & infant outcomes. Do you want to take a wild guess at what these studies found? The gist is that we need MORE choline. A lot more. Our current recommended intake for pregnancy is set at 450 mg. Many of the supplementation studies have compared choline intakes of 480 mg (slightly above the recommended intake) to 930 mg per day. The women receiving 930 mg/day consistently show improved outcomes, as do their babies. Choline also enhances the transport of nutrients across the placenta, including DHA; note the nutrient synergy. (J Nutri, 2017; Metabolism, 2008) Some of the richest food sources of choline also contain DHA, such as egg yolks and salmon. What are the Best Food Sources of Choline? Choline is widely spread in the food supply, but most concentrated in animal foods. This is an inconvenient thing for folks arguing the adequacy of a vegan diet in pregnancy because the #1 food sources are egg yolks and liver (this is one of many reasons eggs are so good for you in pregnancy). You’d need close to 4 cups of broccoli OR 2 cups of beans OR 5.75 Tbsp of peanut butter or 3.3 cups of tofu OR 2 cups of shiitake mushrooms (these are among the richest plant sources of choline) to match the choline content of a SINGLE egg yolk. Even egg eaters should be aware of their choline intake (57.3% leaves almost half the population at inadequate intake), but a 23.5-fold difference in adequate intake between egg-eaters and egg-avoiders is noteworthy. The data for pregnant women is particularly dismal; only 6-10% meet the recommended intake for choline. This is partly related to the increased requirements of pregnancy. Once you set the bar higher, many women aren’t going to make the cut. It’s also a side effect the poorly communicated information on food safety resulting in unfairly demonized “foods to avoid” that leaves many afraid to consume eggs. Aside from egg yolks and liver, other foods rich in choline include: organ meats (like kidney, heart, giblets), fish roe, wild game (especially caribou and venison), fatty fish (especially salmon), pork skin (think chicharones), beef, lamb, pork, poultry, and dairy products. Bacon is actually a surprisingly rich source of choline, too (eggs + bacon anyone?). In dietary surveys looking at the greatest contributors to choline intake, eggs top the list, followed by meat, poultry, seafood, and dairy products. If you can’t/don’t want to consume eggs, I highly recommend a choline supplement, such as choline bitartrate (<– this is the most studied form for supplementation) or sunflower lecithin to meet your needs. As stated above, choline is widespread in the food supply. However, the concentration of choline is highest in animal foods. This can make it more difficult to obtain enough choline on a vegetarian diet, particularly if one does not consume eggs (such as a vegan diet). As mentioned above, certain plant foods do contribute to choline intake, especially shiitake mushrooms, beans/legumes, nuts/seeds, and cruciferous vegetables. These still count, but the quantity required to meet choline demands, particularly in pregnancy in lactation, makes it virtually impossible to do with diet alone. In fact, I have yet to see a vegan pregnancy meal plan with adequate choline. I find it especially worrying that the handout on vegetarian diets in pregnancy from the Vegetarian Nutrition Practice Group of the Academy of Nutrition and Dietetics fails to mention choline as a nutrient of concern. They mention only protein, DHA, iron, folate, zinc, iodine, calcium, B12, and vitamin D (note: there are other nutrients beyond choline this list is missing; see Ch 3 of Real Food for Pregnancy in the section entitled “Challenges of a Vegetarian Diet in Pregnancy”). The dietetics’ field is so focused on complying with the arbitrarily low cholesterol and saturated fat targets in our dietary guidelines, that they compromise the level of choline in the diet. This is a perfect example of the nutritionism trap. The disappointingly low concentrations of choline in the above examples is due to the low provision of animal-sourced foods—particularly eggs—in these sample meal plans. The high concentrations of choline in animal foods is one of many reasons I endorse an omnivorous diet for optimal pregnancy outcomes. I’m a proponent of consuming both plants and animals, not arguing in extremes of one versus the other. 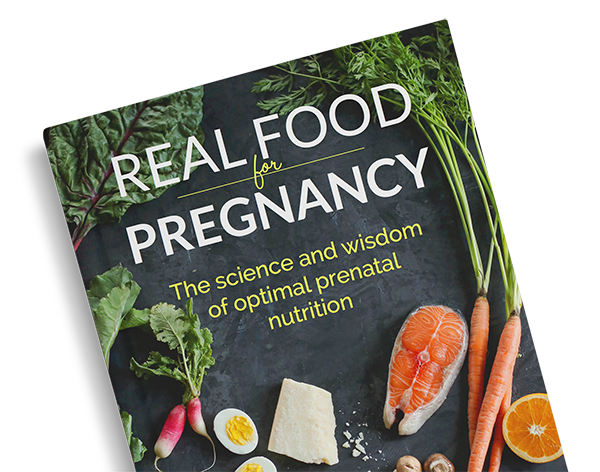 The sample meal plans from my book, Real Food for Pregnancy, provide anywhere from 633 to 935 mg of choline—well above the current recommendation and in line with the latest data on optimal intake. In the section exploring the nutritional considerations of a vegetarian diet, I highly encourage the consumption of eggs for those who otherwise avoid animal products. For those who are averse or allergic to eggs, as stated earlier in this article, a choline supplement is highly recommended. Read the research. Run a nutrient analysis. Decide for yourself if you want to EAT your nutrients versus supplement. It’s not only about what your diet excludes, but what it INCLUDES, hence why I’m constantly talking about nutrient-dense foods. If you are not sure you’re obtaining enough choline from your diet—or need personalized advice on what level of choline supplementation might be helpful to you (again, if your diet is lacking in choline-rich foods)—I’d recommend working with a real food dietitian with extensive training in prenatal nutrition. They could help run a comprehensive nutrient analysis to check the choline levels in your diet and guide you on the strategies you can take to optimize your intake. But, but, but… Can’t your body make choline? There are A LOT of people who are uneducated on choline or being told misinformation about the necessity of this nutrient (several outspoken vegan doctors are decidedly anti-choline). Some of these people argue that your body has the capacity to synthesize all the choline it needs. This is not true. This is NOT supported by the scientific literature, particularly in pregnancy. The above quote comes from an excellent review article on choline, which explores arguments for and against its intake. As of the time of writing, it’s open-access, meaning you don’t have to pay a dime to read it. If you have any lingering questions on choline, I recommend you give it a read (full citation below this article; simply copy and paste the title into a Google search and it’ll come right up). 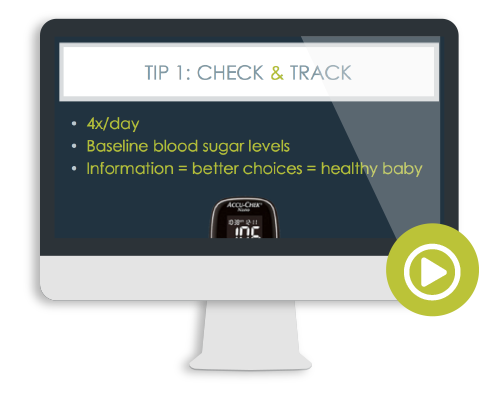 Let’s sum up the data on choline and pregnancy in bullet points, shall we? You need more choline—not less—during pregnancy (and even more when you’re breastfeeding, but that’ll be the topic of another post; or, see Ch 12 of Real Food for Pregnancy). I’ll also be teaching an in-depth webinar on breastfeeding nutrition in the coming months. Stay tuned for details. Choline is most important for placental health & your baby’s brain development (however, keep in mind it’s vital to overall brain function—pregnancy brain, anyone?—and liver health). Choline requirements in pregnancy may be DOUBLE the current recommendation; we’re just waiting on prenatal nutrition guidelines to catch up to the research. Eggs are the #1 source of choline in the diet; eat them regularly (with the yolks—that’s where the choline is) unless you absolutely cannot tolerate them. People who don’t/can’t consume eggs should consider a choline supplement. Don’t count on your prenatal vitamin as most contain none or pixie dust quantities. The most studied form of choline used in pregnancy supplementation studies is choline bitartrate. 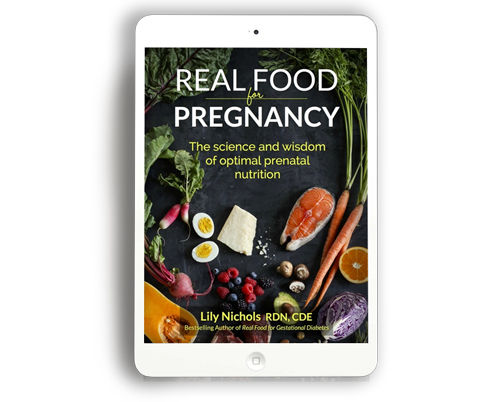 If you want to learn even more about choline—and all the other nutrients required for a healthy pregnancy—check out Real Food for Pregnancy. 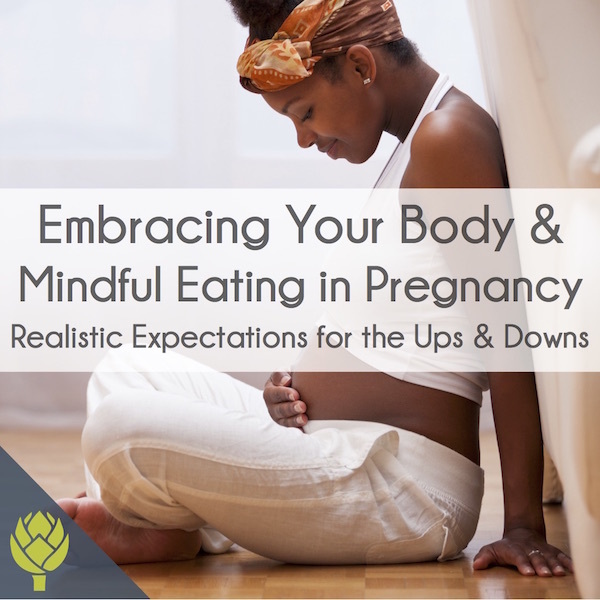 You’ll especially like Ch 3, which explores foods to emphasize based on the latest scientific research on prenatal nutrition. – Did your healthcare provider talk to you about choline during your pregnancy? – Were you aware of this nutrient before reading this article? I’m really curious to hear your input. I’ve seen a lot more nutrition professionals speaking about choline in recent years, especially since I published Real Food for Pregnancy, so I’m hoping to see this conversation become commonplace. 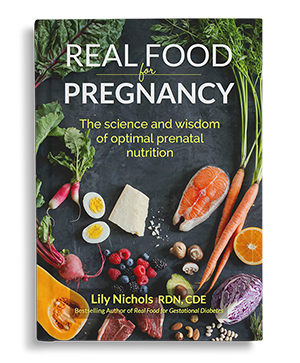 PS – If you’re new here and want to learn more ways that real food helps to optimize pregnancy outcomes, you can download the first chapter of Real Food for Pregnancy for free below. Shaw, Gary M., et al. “Periconceptional dietary intake of choline and betaine and neural tube defects in offspring.” American journal of epidemiology 160.2 (2004): 102-109. Wallace, Taylor C., et al. “Choline: The Underconsumed and Underappreciated Essential Nutrient.” Nutrition Today 53.6 (2018): 240-253. Blusztajn, Jan Krzysztof, and Tiffany J. Mellott. “Neuroprotective actions of perinatal choline nutrition.” Clinical chemistry and laboratory medicine 3 (2013): 591-599. Kwan, Sze Ting Cecilia, et al. “Maternal choline supplementation during pregnancy improves placental vascularization and modulates placental nutrient supply in a sexually dimorphic manner.” Placenta 45 (2016): 130. ; Jiang, Xinyin, et al. “A higher maternal choline intake among third-trimester pregnant women lowers placental and circulating concentrations of the antiangiogenic factor fms-like tyrosine kinase-1 (sFLT1).” The FASEB Journal 27.3 (2013): 1245-1253. Caudill, Marie A., et al. “Maternal choline supplementation during the third trimester of pregnancy improves infant information processing speed: a randomized, double-blind, controlled feeding study.” The FASEB Journal 4 (2018): 2172-2180. Wurtman, Richard J. “Synapse formation and cognitive brain development: effect of docosahexaenoic acid and other dietary constituents.” Metabolism 57 (2008): S6-S10. ; Kwan, Sze Ting, et al. “Maternal choline supplementation modulates placental nutrient transport and metabolism in late gestation of mouse pregnancy.” The Journal of nutrition 11 (2017): 2083-2092. Boeke, Caroline E., et al. “Choline intake during pregnancy and child cognition at age 7 years.” American journal of epidemiology 12 (2012): 1338-1347. Visentin, Carly E., et al. “Maternal choline status, but not fetal genotype, influences cord plasma choline metabolite concentrations.” The Journal of nutrition 7 (2015): 1491-1497. Wallace, Taylor, and Victor Fulgoni. “Usual choline intakes are associated with egg and protein food consumption in the United States.” Nutrients 8 (2017): 839. If you loved eggs, it’s unlikely your choline intake was severely lacking. 2 eggs/day meets approximately half of the daily recommendation for choline in pregnancy (based on the current recommended intake level anyways). Has there been any research done to determine the upper limit of choline? Wondering if there are any adverse effects of having TOO much choline, although it sound like this is not a common problem for most people. Thanks Lily!! They set the upper limit at 3500 mg, but virtually no one consumes that much. The only way to reach those levels is high dose supplementation. The second reference below this article goes into details on this. As far as dietary sources – one big lesson learned for me (with business travel) was that the liquid egg product often used to make large batches of scrambled eggs contains essentially NO choline! I do find variety to be a bit challenging in working toward the higher recommended choline targets day in and day out during pregnancy. On the topic of supplementation, have studies to-date found similar results/outcomes with dietary choline vs. supplements? Yeah, fake eggs, like the ones often used for making massive batches of scrambled eggs in cafeterias or hotels won’t contain choline unless the manufacturers specifically add it in. Egg Beaters, for example, does NOT have choline. I try to order fried eggs in situations like that to ensure I’m getting *actual* eggs. The data from choline supplementation trials is reassuring, but there are some studies showing markers of choline status are improved when they test eggs versus a choline supplement, even when the dosage of choline from the two is equivalent. I’m always a fan of “food first” if it’s possible. There’s a lot we don’t know about nutrient synergy. The choline-DHA connection is a perfect example. I first heard of you during your interview on the Whole Mamas podcast and likely replayed it at least 3 times to try to soak in everything that you said. 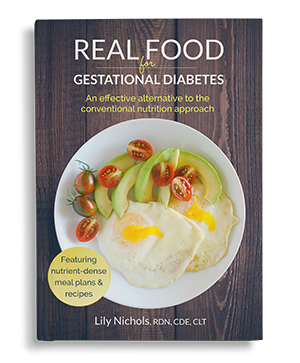 I’ve since bought your Real Food for Pregnancy book to have a hard copy because the data you put forward has been astounding to say the least! I’ve been on a journey over the last year and a half to learn a lot more about nutrients and supplements as I prepared to conceive. 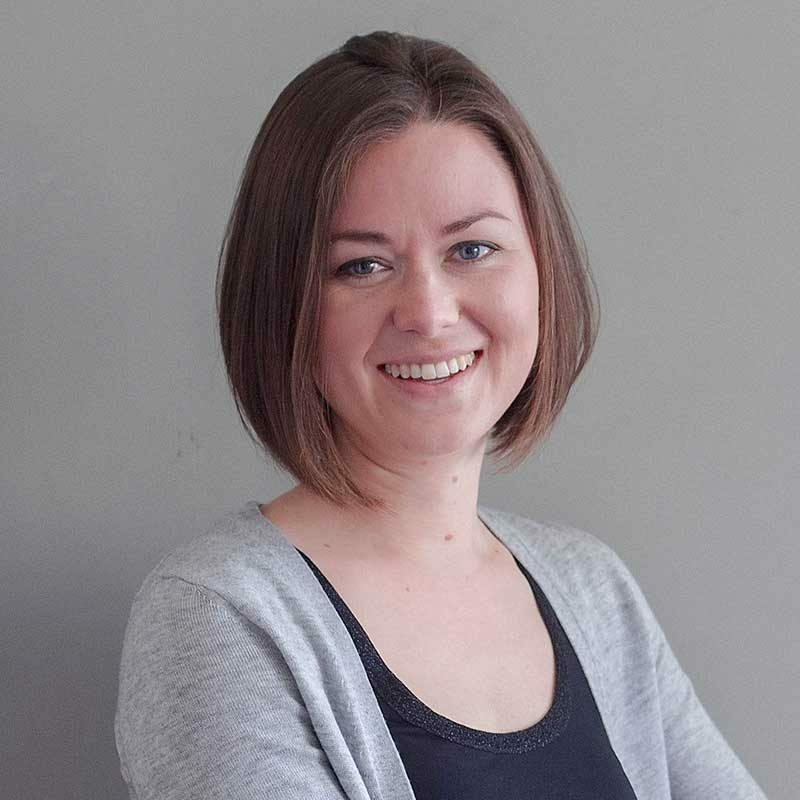 Needless to say, working with a natural path, a fertility OB, an endocrinologist specializing in fertility and now that I am pregnant, a midwife practice near Toronto, Canada – no practitioner ever recommended choline despite all being very open to supplements and taking a more natural approach. After conceiving, when I was asked what supplements (by all of those groups) I am using, when I mentioned choline, only the natural path commented on it that she was surprised I knew about it since it’s a ‘new thing’. Thank you so much for your research! I must admit I have a hard time not throwing your book into the hands of pregnant friends and “forcing” them to read it! 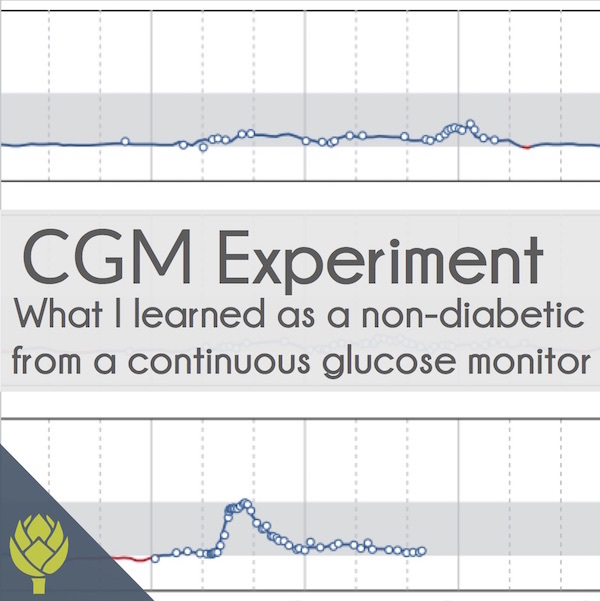 It’s so frustrating to hear comments like “I think I need to eat more carbs to manage my borderline gestational diabetes” or “I’m avoiding eggs while pregnant in case they are undercooked”. Glad my book has been helpful to you and thank you for sharing with your friends! That’s funny about them saying choline is a “new” nutrient. It’s only new to the people who haven’t been following the research. This is really interesting! What about choline when breastfeeding? I’m not planning to have any more children but am currently breastfeeding my 4-month-old. Thanks! Choline needs are even higher when breastfeeding and choline transfers readily in breast milk. See the section on choline in Ch 12 of Real Food for Pregnancy! Thank you! I have your book (and love it) and will look it up. How much is in one egg / how many eggs do we need to eat to get our daily recommended requirements? An egg is approximately 115 mg of choline, but it depends on the size of the chicken egg (larger egg = larger yolk = more choline). Remember, eggs aren’t the ONLY source of choline in the diet, but the major contributor. Love this! Thank you for all that you’re doing! When I found out I was pregnant and spoke to my NP, all she wanted to make sure I was taking was folic acid. No mention of choline at all. Prior to being pregnant, I had heard of choline but had no idea the benefits it had on pregnancy. I’m just over 12wks pregnant with twins and consuming 2 eggs every morning with the odd side of bacon. Oy, and the folic acid instead of folate. This type of bland prenatal nutrition advice makes me cringe, but it all too common. Hi Lily! Do you have a recommended supplement company to start with for those who do chose to supplement? I find the options overwhelming when it comes to finding a high-quality supplement. Any harm in supplementing with Phosphatidyl Choline in lieu of Choline Bitartrate? Thank you! 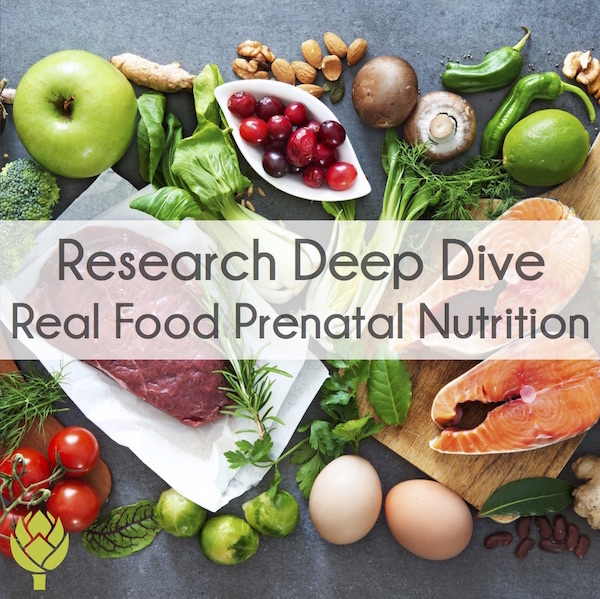 Thank you for the work you do and for your books on Real Food – I keep telling everyone that you should have titled it Real Food for Everyone because the information is good for everyone, not just pregnant women! I’m a CNM (I won your book from EBB when they did a webinar with you) and couldn’t put it down – read it cover to cover like a novel. I am so happy to have that resource and be able to share it with the pregnant women I have access to! I’m do glad you enjoyed it! Love all the work that Evidence Based Birth puts out and have been happy to contribute to some of their content. My provider never talked to me about choline and I never heard of it before! It is interesting to note though, that I developed preeclampsia and my placenta was “calcifying” with my most recent baby. I’ve never had this problem before with 7 kids…but I was egg free this last pregnancy because I didn’t tolerate eggs. I don’t think that is a coincidence! Great write up, thank you! I ate 2 eggs daily while pregnant based on your recommendation. I have a question unrelated to this topic. Do you have any advice on restoring gut health with diet after the antibiotics of a csection? My stomach hasn’t been the same since and I’m suspecting some other issues are related like puffy eyes and general swelling. I’m breastfeeding and I’m not familiar with how diet could effect supply. Thanks! Im 2 months pregnant and already read your book twice in one month! Its like a bible for pregnant women. I ve been trying to eat an egg or two almost every day and chicken/meat liver twice a week but im afraid im still not getting the recommended 930 mg of choline daily and was considering taking a supplement just to be on the safe side. Looking at choline bitartrate supplements, most of them are in a combined form with something called “inositol” (250/250 mg). Is there a reason for that like better absorption of choline or should i get a supplement that only includes choline bitartrate? Glad you enjoyed Real Food for Pregnancy! You might consider running a nutrient analysis to check your choline intake if you’re concerned. Eggs + liver are the #1 most concentrated sources, but not the ONLY sources of choline in the diet. As far as inositol, it’s another nutrient in the B vitamin family and is generally considered safe for pregnancy. I’m not legally able to give personalized supplement advice in this format, so I’d recommend talking it over with your healthcare provider. I’m a lover of eggs. Ate a ton during pregnancy and after. Unfortunately 2 of my 4 kids are severely allergic (can’t even have them baked without severe reaction). I try to give them sunflower lecithin whenever I can figure out a way of squeezing it into their diet, but it’s not always easy. Can you recommend a choline supplement that doesn’t contain eggs? And what the heck happens to kids who don’t get enough? Lots of bacon eaten over here, but probably not nearly enough. Lily, any idea how much choline is in sunflower lecithin? I can’t find this information anywhere! I read your book a year ago, and I have since reread it and shared with a friend. I think I’ve also listened to every podcast you appear on (I’m a super fan of your work). I am not pregnant nor have I ever been, but I want my body to be ready when the time comes. I was on the Autoimmune Protocal last year and when I tried reintroducing eggs I found I got terrible headaches and body aches every time I ate them. Of course I was so sad after reading your book, but this is why I’m here commenting. A local farmer suggested I try duck eggs since they have a different set of proteins. I’ve been eating them for about a month with no problems. I’m not sure on the actual amounts of choline in duck eggs, but I wanted to mention this in case there are other people out there wishing they could tolerate chicken eggs. 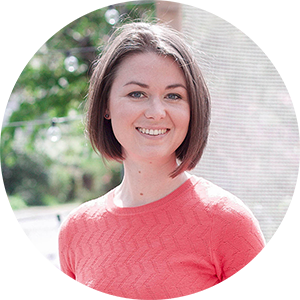 I’ll leave it up to Lily Nichols and other real food educators like her to tell us how duck eggs compare to chicken eggs. Thanks so much for all of your work and contributions to this field! Yay for healthy babies and mamas! Actually duck eggs are excellent nutrition-wise, even for choline. Since they are larger than chicken eggs, their choline content is higher as well. 1 duck egg has 184 mg of choline compared to 115mg in a large chicken egg. Your book was the first and only place I’d heard about choline. Since I’m intolerant to eggs (stomach pain, rashes) and rarely eat liver, I decided to supplement. I recently changed practitioners and my old doc said “I didn’t even know they made choline supplements” although he at least seemed aware of it. New doc office didn’t have it in their system as a supplement to choose from… they had to write it in! Nobody talked to me about it and the nutrition info I was given was standard stuff… don’t eat lunchmeat, stick to low fat (!!) dairy, etc. Your book has been so empowering and a lifesaver! The only thing I do differently than your book is eat higher carb (by a lot) but I was already doing that in a healthy way with a nutrition coach due to my crossfitting and weightlifting along with the stress of being a business owner. I haven’t changed that since being pregnant. SO EXCITED for your breastfeeding webinar!! Glad to hear you learned about choline and have been able to share this info with your provider. Hopefully more will be up-to-date on this nutrient in 5-10 years. As they say, it takes 17 years for research to make it into practice. And, YES to adjusting your macros to what your body needs. As I try to stress in Real Food for Pregnancy, folks with much higher exercise levels usually have more wiggle room for carbs. Glad you’re listening to your body! Really interesting article. You say Sunflower lecithin is a vegetarian source. I hear lots of lactating mothers who are taking it to help with supply, any speculation that it might be low choline that’s impacting their supply? p.s. I’m not even pregnant yet and Real Food for Pregnancy has been an amazing book to help me eat more nutrient dens foods. I was already keto but no have upped my eggs and liver based on your recommendation. Wish you could do a general Real Food for Life book! My doctors did not say anything about choline at all. Or any nutrients for that matter. They just asked if I was taking a prenatal, said not to eat sushi, and sent me on my way. I’m glad I read Real Food for Pregnancy before becoming pregnant. Hi. Since you asked, just thought I would tell you about my pregnancy, the only one I wanted, which happened over 47 years ago. I had a very healthy son, who weighed 6 pounds, 7 ounces, and a bit on the thin side but otherwise perfectly normal. He is still alive and well. I’m 66 and also quite healthy. Before he was born I had never even tasted and egg and wasn’t big meat eater. I was given prenatal vitamins but quickly realized they (nor anything else) was going to stay down as I was suffering from hyperemesis, otherwise known as extreme vomiting. It lasted the whole nine months of my pregnancy and I lost 30 pounds that I didn’t need to lose. After he was born, I breastfed him for over 6 months, with no other supplemental food. I have to think that my body somehow made all the nutrients we needed. The only thing I ingested during the whole pregnancy was cream soda (pop) because I quickly learned that it didn’t taste too bad coming back up. Sorry to be so graphic but that is my story, since you asked. I eat eggs almost daily and am attempting to eat liver weekly. (any recipe ideas are appreciated! ), but I am still considering a Choline supplement due to not hitting the 930mg dosage each day. Should I consider the Choline Bitartrate or Phosphatidyl Choline? I also take a DHA supplement and I was wondering what the daily recommendations are for that? I just started your book, it is AMAZING!!! I ate tons of eggs during my three pregnancies (I LOVE eggs) but in my last pregnancy I was so sick but eggs settled my stomach. I remember counting up six eggs a day sometimes! I did have three healthy pregnancies and have three healthy smartie-pants kids, so I wonder how much of this has to do with my morning-sickness induced egg intake. I never got any information about choline during my pregnancy. I also find it very difficult to find a prenatal here in Sweden that has choline. The only one I have found is Innate Respons “Baby and me”. It has 300 mg choline. Is this a prenatal you have heard of or would recommend? Btw, just started reading your book Real food for pregnancy and I’m so thankful for your work. My recommendations on prenatal vitamins & other supplements are detailed in Ch 6 of Real Food for Pregnancy.